Lock in a great price for Levni Hotel & SPA - Special Category – rated 8.4 by recent guests! Excellent location to all shopping areas, lovely restaurants and major monuments and mosques. I especially appreciated service excellence by Nural and Utkan who went out of their way to explain the way around the area and the tourist spots. I also booked tours through hotel from South Africa and knew exactly what to expect when I got there, there were no surprises. A pleasant experience and the property itself was of a great standard and good, fresh breakfasts! 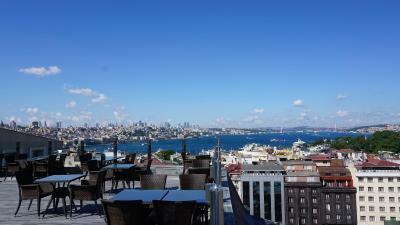 Everything - location is 5 mins from blue mosque area. the rooms are a good size and well appointed, comfortable. breakfast waa great. the staff is amazing they are so extremely warm and polite. and so committed to guiding and helping you .. right from the bell boy reception concierge restaurant .. all of them. Nural at the reception is amazing .. do not miss him, he gives you tips to places and experiences that you could never imagine, Levni team plus Nural made our holiday just so much more enjoyable!! Location, english speaking staff, touristic advices, public transportation guidances, swimming pool, roof terrace. 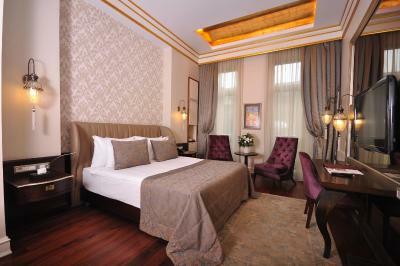 It's the BEST hotel in Sirkeci area. One man you would look for is "Nural". He is a master and I guess no one knows Istanbul better than him. Trip to Istanbul would have completely different if he would not have helped. The hotel is very conveniently located and staff are excellent. I would stay just go for it. All tourist attractions are walking distance. The rooms are clean and cozy. Breakfast was good too. Nice rooftop view. Staff are extremely polite and helpful. 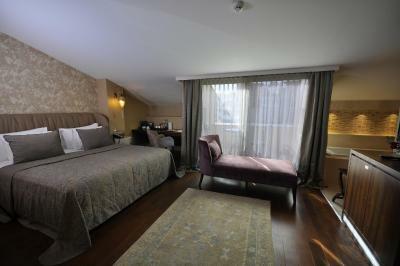 The hotel location is excellent it was very near to blue mosque & Hagia Sophia just less than ten min. Walk also the underground metro station is in front of the hotel, the hotel rooms was not that big but when I asked for bigger rooms they upgrade me to bigger room when there was available rooms , all the rooms were very clean and confortable the hotel staff were very friendly although not all of them can speak English special thanks to MR. Nural who always provide us with help and assistance in all our enquiries he was very hulpful and always smiles. 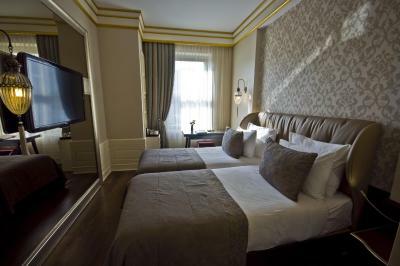 Located in Istanbul’s historic district just 1,650 feet from Topkapi Palace, this Special Category hotel offers modern rooms with a LCD TV and free WiFi. 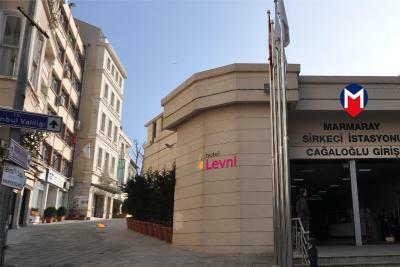 An indoor pool, fitness room and a Turkish bath are available at Levni Hotel. Levni Hotel’s bright rooms have modern furniture, a bathrobe and a coffee maker. Each LCD TV offers satellite channels. Some rooms feature a private balcony. The Levni reception desk is open 24/7 and its staff can arrange car rentals. Massages are available at the on-site spa and wellness center, at an additional charge. Every morning, a unique Turkish breakfast buffet is offered. Turkish, Ottoman and international specialties and vegetarian dishes are served at hotel Levni’s restaurant. You can enjoy your meals indoors or in the winter garden. A pub serving wine and beer is open during the evenings. Marmaray Undersea Rail Transport is just a few steps away, allowing easy access to the Asian side in just 4 minutes. 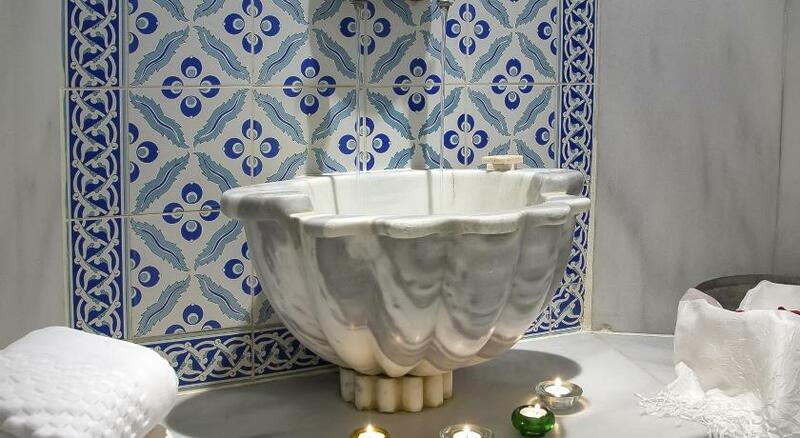 Historical Blue Mosque and Hagia Sophia are just 5-minute walking distance away. 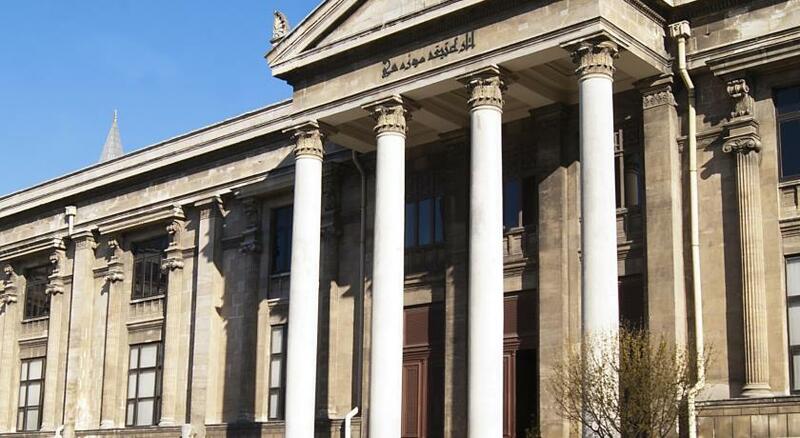 Istanbul’s modern Taksim district can easily be reached from Gulhane Tram Stop, one-minute walk away. 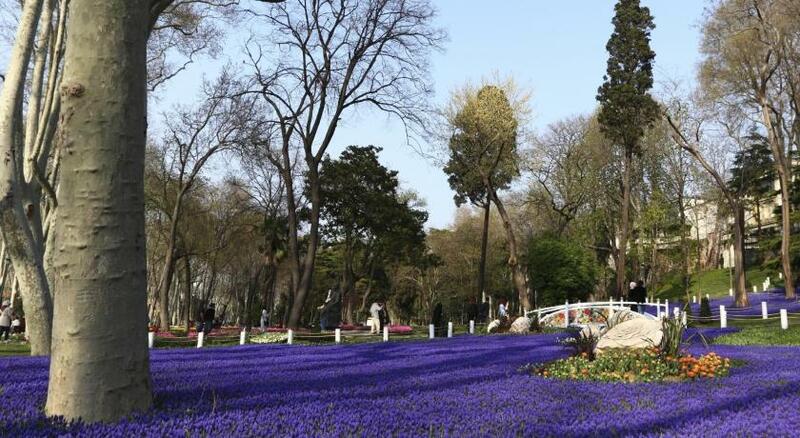 Ataturk Airport is 12 mi from Levni Hotel & Spa while Istanbul Airport is 33 mi away. 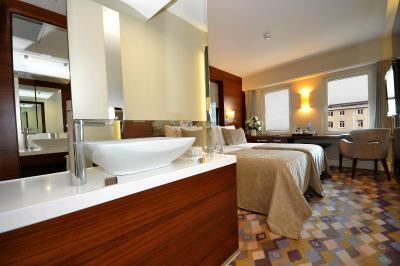 When would you like to stay at Levni Hotel & SPA - Special Category? Includes air conditioning, LCD TV and a minibar. Spacious room featuring hardwood floors, sitting area and black-out curtains for enhanced comfort. 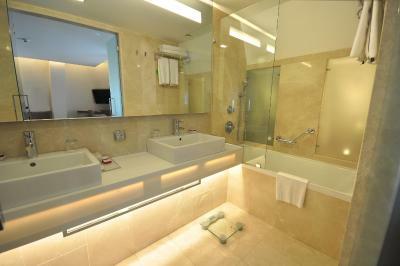 On the top floor, this room includes a bathroom with spa bathtub. 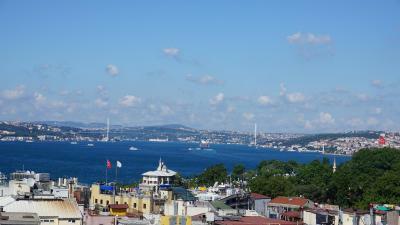 Some rooms also offer Bosphorus views. 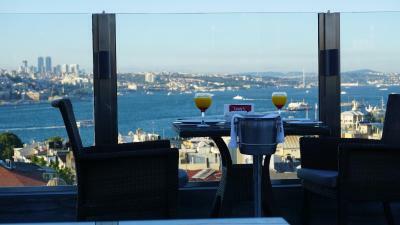 Luxurious suite with a lounge area and a hot tub, both offering panoramic views of Istanbul. This room consists of 2 connecting rooms. Includes air conditioning, an LCD TV and a minibar. Please note that the third bed is an extra bed. It includes a 30-minute hammam treatment in spa center per person. This twin/double room has a electric kettle, air conditioning and soundproofing. 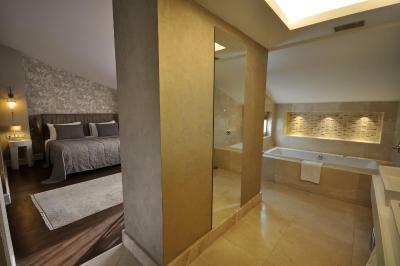 Please note that spa entrance and facilities are excluded in the room rates in this room type. Daily spa entrance fee is EUR 30. Levni Hotel & Spa we build for make a hotel only the one in the town. House Rules Levni Hotel & SPA - Special Category takes special requests – add in the next step! Up to three children under 12 years are charged EUR 30 per night when using existing beds. Debit card Levni Hotel &amp; SPA - Special Category accepts these cards and reserves the right to temporarily hold an amount prior to arrival. Levni Hotel & SPA - Special Category accepts these cards and reserves the right to temporarily hold an amount prior to arrival. Shower was nice but it ws leaking out which was uncomfortable and nasty..had to use extra towel to dry the floor. Not worth the price of the room. Excelent location. 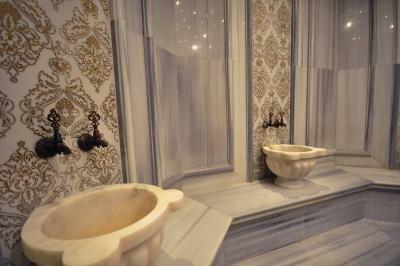 Hamam experience was the highlight of my stay and it was worth the price. Malikeh was the best therapist and a sweetheart. Rest of the facilties were nice. View was nice. Breakfast was well organized with lots of options.. you wont go hungry..
Bathroom door is very thin so was awkward to go to the toilet. 1 initial service in impression what's not good as being pressured to buy more services. 2 I specifically was looking for a hotel with a gym when I travel I want like two workouts gym was small and only treadmill they had was not working properly which interfered my workout routine 3 I was asking to cancel my payment for the last night's of stay . now by the rules of booking they should not need to refund me for the last night because it was a booked by no refunds which is there right but as i was staying a few nights they could go the extra mile and help me to cancel the last night. they did not. I have mixed feelings about this hotel but it will still rate 4 out of 5 . Let's start with the bad. When I arrive to the hotel i was completely wasted and tired and the hotel clerk who accepted me offered me . pressured and although he saw them tired and said I want to go to sleep . Try to call convince me to book trips and other services the hotel offers. again I told him I'm really tired and I need to go to sleep when I come back after few hours sleep cuz I was tired from the journey he "attacked" again to order or book trips or other services they offer . At this point I told him to stop please and that they've just arrived and still tired and that's this method will not work. This approach will hold me back from ordering from him. I told him to come here to spend money but when someone will approach me like this specially when he sees them tired and I want to go to sleep. So let's review to Cons: 1 initial service in impression what's not good as being pressured to buy more services. 2 I specifically was looking for a hotel with a gym when I travel I want like two workouts gym was small and only treadmill they had was not working properly which interfered my workout routine 3 I was asking to cancel my payment for the last night's of stay . now by the rules of booking they should not need to refund me for the last night because it was a booked by no refunds which is there right but as i was staying a few nights they could go the extra mile and help me to cancel the last night. they did not. Now the good. 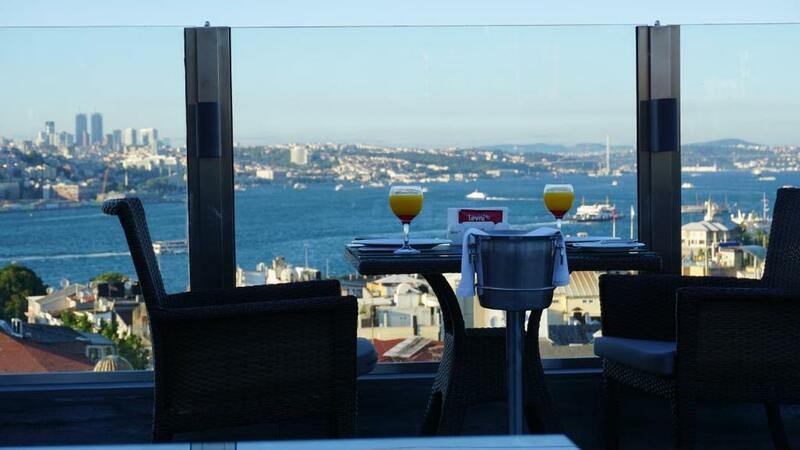 1 after the solved issue when I arrived (pressuring buying more services) from that point on the service got much much better exceptionally good service and help and guidance ‏what do in Istanbul. 2 prices fare 3 hotel is very clean 4 breakfast is awesome. 5 if you're looking to stay at a hotel in The old City area . The hotel location is really good. 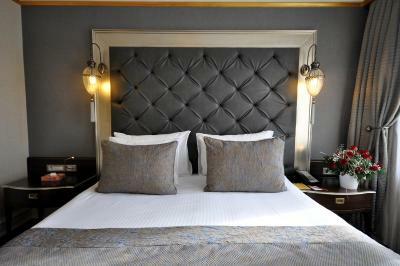 The beds where very comfortable and the staff absolutely super! Very helpful. The noise of the people working on the building next door. They were busy even on a Sunday. Hope they will finish soon. The best staff I ever met . The quality of fit-out in bathroom. There are holes between toilet and room. Only glass partition. You can imagine how it is not comfortable. There is not parking for taxi, need to go by feet 30 meters. Ironing board provided at request was old with wholes on material. Not serious for such money. 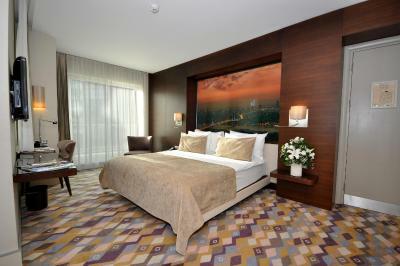 Modern rooms with nice view on bosphorus. Good stuff. Terrace upstairs looks good.The breakfast is standard. Great location.